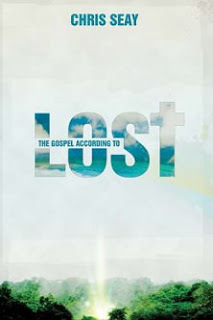 In The Gospel According to Lost, Chris Seay attempts to make a meaningful connection between the Gospel and the fictional television series about strangers stranded on a magical and mysterious island. While this sounds far fetched, I was excited to read his account. You see, I am an avid Lost fan and I love the story line. It is easy for me to see the major connections between the story of Lost and the heart of the Gospel. Perhaps my fervor for the subject matter left me expecting more than can possibly be given in the course of one book, but I was sorely disappointed with Seay's treatment of the issue. While Seay has a passion for both the show and the Gospel, his writing leaves much to be desired. I was totally unimpressed by his observations regarding the characters and story line. Most of what he discussed was blatantly obvious to the casual observer. There were some definite gems of insight, but those were cloaked by overused phrases that appeared multiple times throughout the book. His wording was so similar in several places that I actually found myself feeling like I had read parts of the book before. "Going to visit Jacob takes on an Old Testament sort of feel:tiptoeing around an explosive deity who values protocol and ritual over the true exploration of faith." "In season three, Locke pays a visit to Jacob's cabin, and even this trek communicates an Old Testament sort of feel: this is a power to cautiously tip-toe around, an explosive deity who values protocol and rewards ritual over the exploration of faith." After these big mistakes, Seay lost my "buy-in" and made me a cynical book reviewer. With all of the hackneyed ideas in this book I give it a two out of five. This is sad, because Lost is an ingenious series and deserves to be ingeniously discussed. I appreciate your comment on my post, although I disagree. I too believe that love is the law. But true love is named Jesus Christ and he is the epitome of grace. 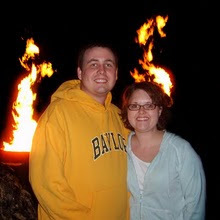 You are right when you say (on your blog) that Christianity has inflicted much pain over the years. I contend that this violence did not flow from the true spirit of Christianity, but rather the zeal of religious fervor. Religious fervor can be found in all religions, and it can be dangerous because of the easy justification of heinous acts in the name of one's religious deity. Humanity is prone to violence and oppression, but the message of Christ is love and justice in the face of our imperfections. It is my hope, Thelema, that you will find the joy and promise of Christ despite the many imperfections among His servants in Christianity.